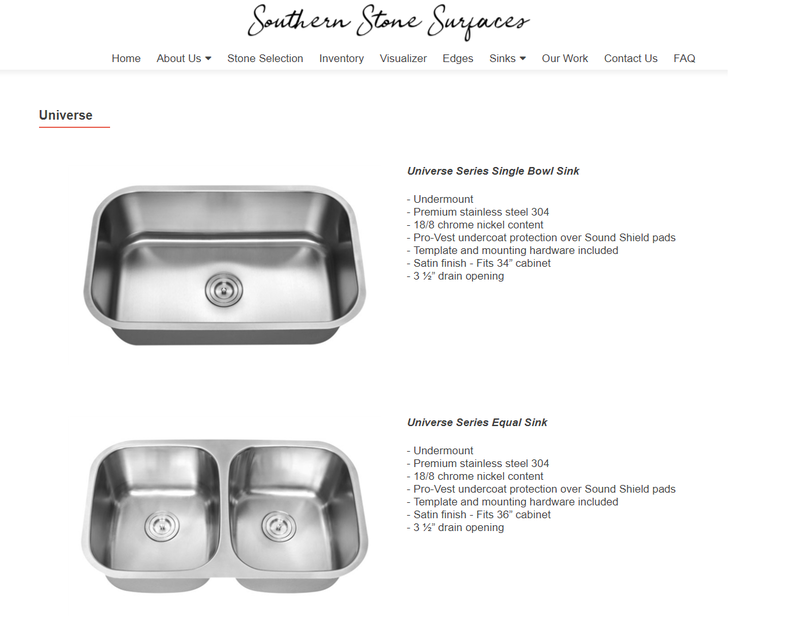 Southern Stone Surfaces | Nashville Granite, Marble & Quartz Counter Tops – Southern Stone Surfaces is one of the leading granite suppliers in Nashville, TN. We create beautiful counters for bathroom and kitchen remodeling projects. We supply stone to 80% of Nashville's home builders and with our Visualizer you can see what your kitchen looks like before selecting. 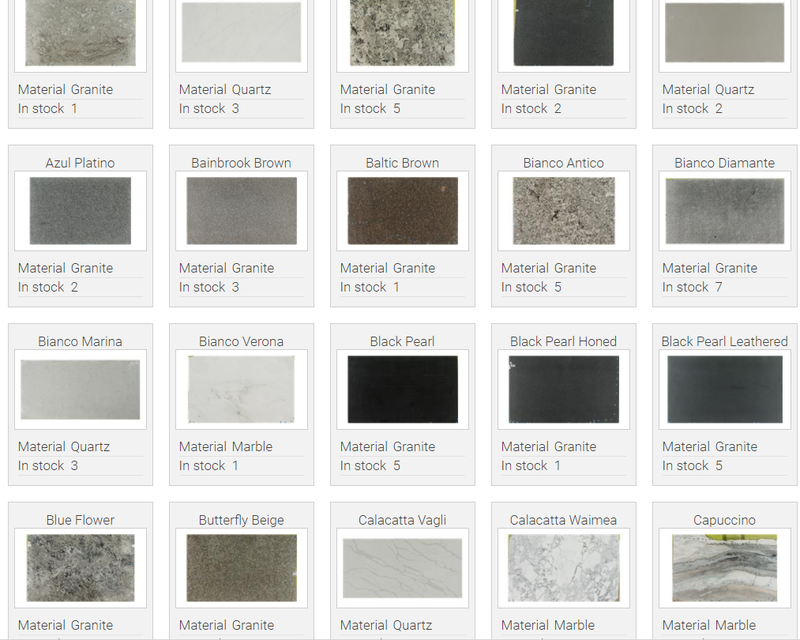 Choose from granite, quartz, quartzite all from our gallery and see your kitchen in our online visualizer. We can help you remodel your home. See your dream kitchen come to life in our online visualizer. Want us to bid on your commercial project, click the picture to contact us today. Family/pet owned and operated for over 13 years. Licensed to serve thousands of clients in Nashville since 2005. GRANITE, QUARTZ, MARBLE, & MORE. 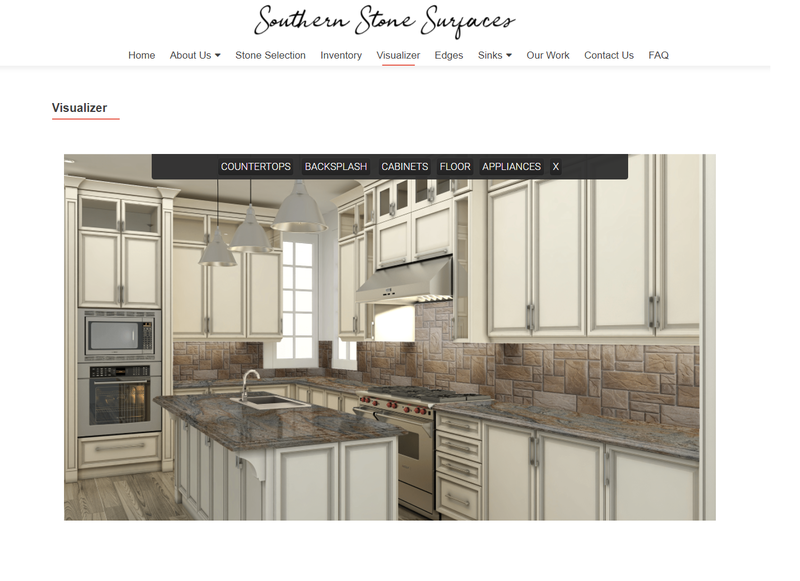 Southern Stone Surfaces is Nashville’s most trusted fabricator of granite, marble, and quartz countertops and fireplace surrounds. We help our customers find the perfect stone for their remodel projects. Our advanced technology ensures that no money is wasted and that our clients only pay for the stone that is used for their granite and marble counters. With inventory shipping daily, we boast a large selection of colors to choose from. Fast turnaround times ensure that your kitchen or bathroom are remodeled beautifully as quickly as possible! To learn more, be sure to contact us today! We measure twice and cut once with our precision laser templating system. We handle your installation and usually install within 7 days from templating. Our clients use us again and again. I would like to take this opportunity to tell you how much I appreciated working with you on the update of my kitchen. The general attitude of your company was that of “no problem” which was very refreshing in this world of apparent customer indifference. Please know that I will be spreading the good word about you and your company to everyone I know. Hi Lisa, Just wanted to take a minute and let you know that the counter tops are stunning! I also wanted to first thank you for your help and expertise and secondly, commend you on your staff. Everyone that I had the pleasure of dealing with was professional, kind and respectful. That means a lot these days because people just dont care about customer service. I have already recommended Southern Stone to a few people and will continue to do so. Such a great experience and the end result is perfect. Thank you again and please pass on our praise to all your staff. Hi Jonathan and Amanda, Just wanted to send you both a quick note to thank you for everything. The counters are beautiful and you guys were really great to work with. Thank you for helping the process along! Online Inventory We now have our inventory online and it updates every hour. 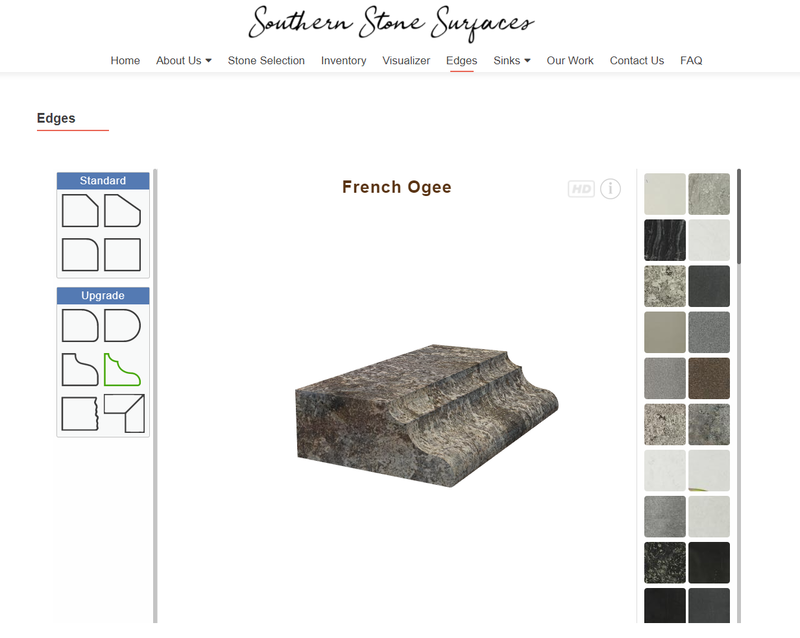 Click on a slab and this is what you’ll see: SEE IT NOW Call us if you have any questions about our products or if you would like to schedule an appointment to view our products. Please provide us with a contact number to reach you.